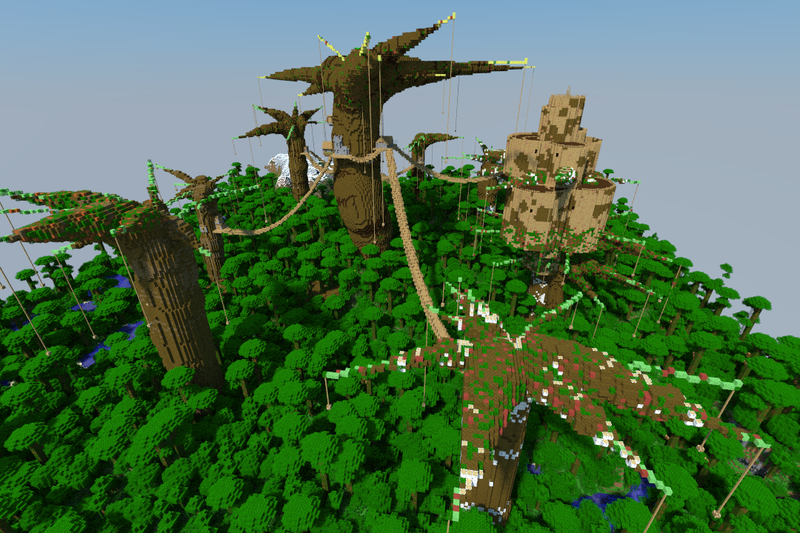 This village is raised high above the Jungle canopy in ancient M'hhoolo trees. The central, oldest, trunk hosts the farms in it's top, a tavern, church, and some common halls. There is an old fort reinforced over many years build in and around a satellite tree. A blacksmith is kept away from the core village infrastructure in case of fires. Houses are on and around other trunks. Connecting the village are suspension bridges draped through the air. A selection of villagers already live there, and they welcome new residents.